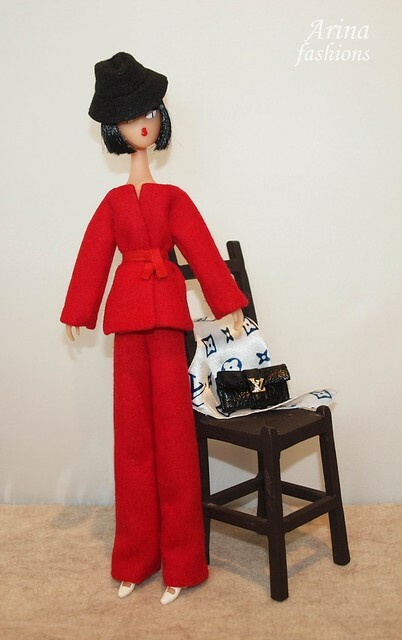 OOAK Outfit for Poppy Parker, Silkstone Barbie and Monogram dolls. The classic style coat cut from Paris cats fabric is fully lined with crystals act as buttons. The dress is fully lined and closes at the back with snaps. Custom order for Mamzelle de Paris doll. JACQUELINE KENNEDY. Valentine’s Day, 1962.